Wow! Can you believe how luscious and decadent this triple chocolate pumpkin pie looks? What a perfect ending to a fall meal. 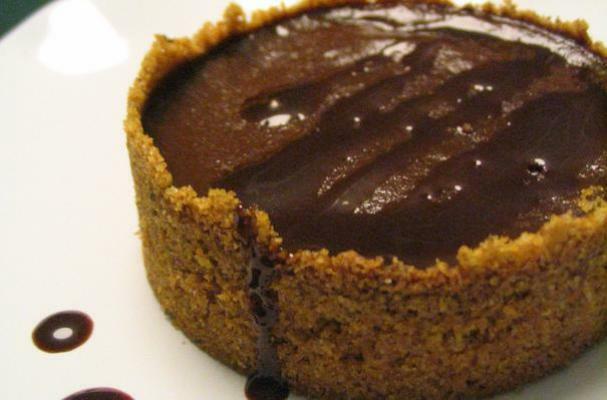 Take a pumpkin pie recipe and combine it with the to-die-for flavor of chocolate. We imagine this topped with a spoonfull of cinnamon whipped cream. What a great way to use seasonal pumpkin in a new and creative way. Enjoy!